Guided by the principle of less is more, I set out to make several new works that were generated out of my interest in silence, ephemerality and emptiness. 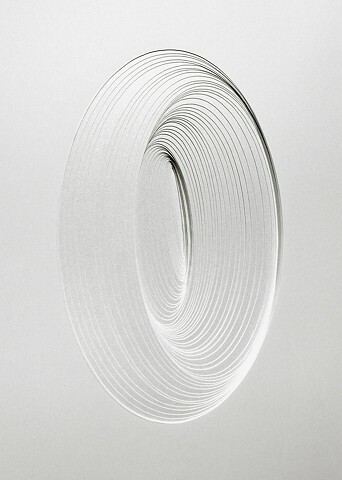 Using an exacto knife I cut away concentric ellipses into multiple layers of white paper. White Noise refers to a purely theoretical sound concept that imagines an infinite-bandwidth, a flat and dense noise signal that has equal power at any frequency. Because the total power of such a signal would be infinite, it is therefore impossible to generate.